Perugia, Italy, September 15, 2016 – Concetti announces that it has designed, manufactured and supplied an innovative fully automatic FFS (Form, fill & seal) bagging line for precipitated amorphous silica to the Huber Corporation, in Havre de Grace, Maryland, USA. Precipitated amorphous silica is a very low density white powder engineered with excellent absorptive characteristics ideal for use in a variety industries from tire production to food and pharmaceuticals. The particulate contains air, which is why it is such a good anti-caking, carrier and thickening agent. This new packaging concept introduced by Concetti involves the use of sophisticated deaeration techniques and allows, for the first time, the packaging of precipitated silica from a tubular reel of PE film, replacing paper bags with more robust polyethylene bags. Reducing air trapped in the material before packaging was the main objective of the project. 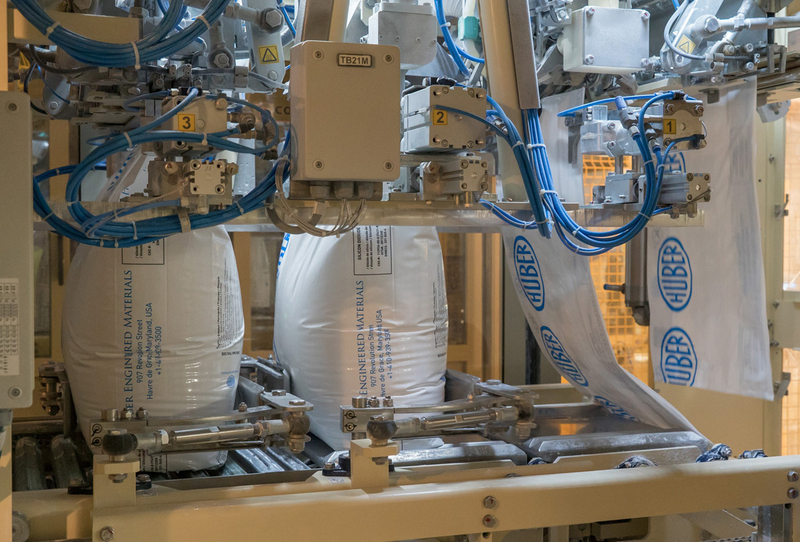 The more compact bag provides significant size reduction benefits across the supply chain, reduces packaging costs as well as improving stacking for more stable pallets during shipment, unloading, and warehousing. The new packaging is also easily recyclable. 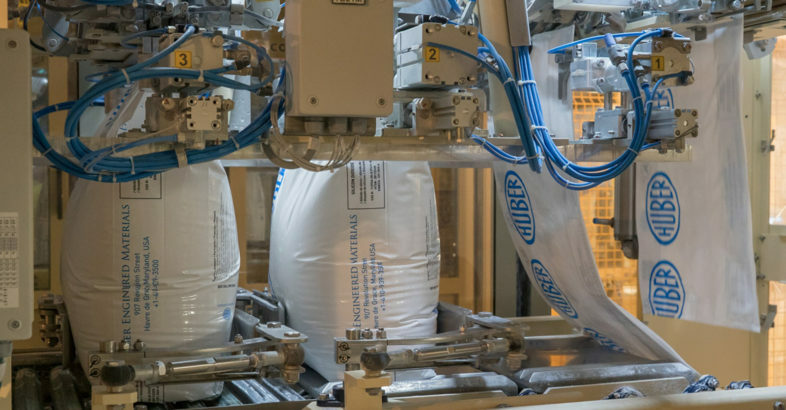 The improved bags offer higher tensile strength, minimization of nuisance dust and greater control of moisture to maintain the integrity of the material inside. The Huber installation consists of two complete Form Fill Seal machines each with a gross weigher and a complex densification screw feeders, including a double air evacuation process. Both packaging machines are delivering filled bags to a 4 column robot palletizing machine. Output is 150 bags/hr with 10 kg bags = 1500 kg/h (3306 lbs/h). Please also have a look at the Concetti Group Corporate Video.